Ridge Crest Memorial Park was founded October 13, 1952 by Clyde M. Barr as President and Minnie Lee Barr as Secretary-Treasurer. 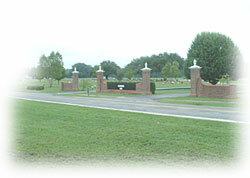 The thirty acre cemetery is located on Highway 391 at 329 Summerland Avenue, across the street from Batesburg-Leesville High School, the SC National Guard Armory and the B-L Branch of Lexington County Library. Features in the memorial park are "Christ and the Woman at the Well" and "The Holy Bible". Flat bronze with granite base memorials are used to mark the 4,333 graves contained in the three original sections. "Christ the Good Shepherd" Mausoleum with 240 crypts and "Christ the King" Columbarium containing 48 nitches was constructed in the spring of 1980. 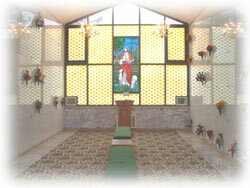 The mausoleum has a heated/air-conditioned chapel available for use by any property owner. The Barr section was opened January 1, 1992 and contains 560 graves and is restricted to upright markers from Georgia Marble Company. memorial marble benches may be purchased and installed in any ground burial section.